This handbook is designed for all language teachers who are giving one-to-one lessons, either in person or as part of a distance learning programme. It helps teachers take advantage of the opportunities of one-to-one teaching, and also cope with its challenges. 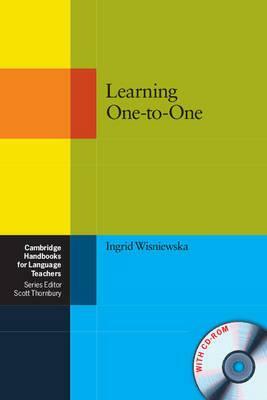 Part 1 provides practical guidelines on teaching individual learners, and looks at the roles a one-to-one teacher may have, such as 'conversation partner' or 'observer and listener'. A focus on these roles keeps interactions in lessons varied and offers ways to develop your teaching skills. Part 2 contains easy-to-use activities, through which both teacher and learner can focus on the language the learner wants to learn. Many of the activities include ideas for using technology and online resources, which can help to develop language skills as well as being fun to use. The accompanying CD-ROM provides material which can be printed out and photocopied for use in lessons.